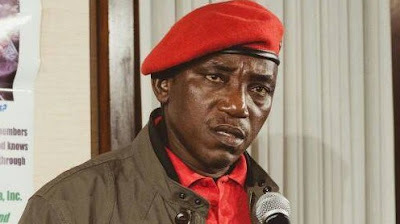 The convoy of Solomon Dalung, minister of youth and sports, was involved in a ghastly accident on Saturday around Akko village, along Gombe Airport road. The accident claimed a life while several others sustained various degree of injuries. Nneka Ikem Anibeze, media assistant to the minister, confirmed the incident. The minister was in Gombe for the elective national congress of the National Youth Council of Nigeria (NYCN) which took place on Saturday. Sunday Jika, the officer-in-charge, Gombe State Marshal, a local security outfit, was in the minister’s motorcade. “We received the minister at the airport and on our way back to town a Peugeot 406 car entered the motorcade of the minister hitting the pilot car,” Jika told journalists. “The Peugeot car went ablaze. We were able to bring out three persons from the Peugeot car while the driver got burnt in the car.